The core idea behind all businesses unless it’s a non-profit one is to generate revenue. Generating revenue for business is what the core role of a marketer is. Marketers should try & test different methods that too in the most cost-effective way for grow businesses. Internet is the most favorite medium for marketers today primarily because it has changed the ways business market their products to the world. 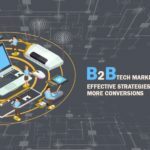 One of the most interesting technique that is shaking up the world of marketers especially in B2B business is Growth hacking which when used in the right way can result in high success rate with minimal or no investment. It is a marketing technique that uses creative campaigns, organic PR, analytics, and social media to gain exposure for a brand and the person who strategizes these plans is called a growth hacker. The only difference between a growth hacker & a marketer can be that a growth hacker focuses only on growth. Growth hackers should understand the latent potential of products to spread themselves & it’s their responsibility to transform this potentiality into a reality. A growth hacker have to be innovative & need to take risks by trying out what seem right. Analytical thinking, product engineering & creativity should be some of the key strengths of a growth hacker which should be used to increase the company’s core metrics.The approach became popular mainly due to its low cost innovative approach compared to traditional methods. While the term may sound new & fancy many of the tactics that are used in Growth Hacking have been around for a long time. The term “Growth Hacker” was first coined in 2010 in a (blog post) by Sean Ellis the founder and CEO of Qualaroo and Silicon Valley start-up investor. Further expansion of the term was done by Andrew Chen in his article “(Growth Hacker is the new VP Marketing)” , where it was defined for a much wider audience. By the year 2013 Sean Ellis combined with Dylan La Com, Everette Taylor, Morgan Brown, and several others to start GrowthHackers, a community that offered software as a service (SaaS) which augmented the growth process. Later in the year, the Second Annual Growth Hackers Conference which was held in San Francisco produced individuals who had used the techniques on social media sites such as YouTube, Twitter, LinkedIn, and more. Today, growth hacking has reached that point where it has become a mainstream tactic of marketing to aid companies to rapidly expand on the internet. Growth hacking as a strategy is always confused with B2C businesses but established B2B businesses can also benefit from Growth hacking if used in the correct way. Growth hacking is one of those techniques that allows you to find the most effective marketing channels & take advantage of them to connect with the audience to scale the business. By combining tools that helps to measure the efficacy of the digital marketing strategy it’s possible to gain valuable information about the audience & their purchasing patterns. But majority B2B businesses shuns away from the concept of growth hacking thinking that their way of business is too boring compared to B2C businesses which have shown success with growth hacking. They worry that the sales process, hypersegmented customer profiles, longer sales cycle & fewer marketing resources may not be apt for growth hacking. To help combat this particular belief we have put down some tips & tricks on how to growth hack B2B businesses. Demonstration of your business’s knowledge & expertise to the audience is necessary for generating leads in the B2B business. For these purposes, the growth marketer should use marketing collaterals like e-books, whitepapers, webinars, Slideshare decks and case studies. With the use of these tools you can educate the audience & provide something of value to their lives rather than focusing the approach to be directly salesy. There is no doubt that content marketing is one of the best inbound marketing techniques that marketers can apply in their marketing strategy. Brilliant content regarding your product, services or your market field makes you look more trustworthy & knowledgeable which will indirectly help in your sales. High entry barrier is one of the important obstacles to effective growth. This obstacle prevents the people from trying your product or service. The “try before you buy” model is a great way to lower the entry barrier & to get potential customers to try out your products. A free trial to customers is one of the popular ways for engagement these days. What the growth hackers should take care is that while offering the free model, you should offer the bare minimum of the features, just enough that the users can see the benefits of the products so they will upgrade to the full version. A personalized journey for the prospective buyer who has become a lead is nothing but smart lead nurturing. Here the marketers can focus on sending triggered messages to individuals that takes action or combination of actions. If someone has watched a webinar on your particular product & then leaves your website without making any purchase can be sent an email which talks about why that particular individual needs to buy the product & how it’ll benefit him. Efforts like these will increase the lead conversion rates, which prove that you don’t always have to spend more on marketing for lead generation. Over the past few years industries around the world are seeing significant decrease in the outcomes of sales prospecting. Marketers will need to collaborate along with sales people for bringing in a significant percentage of SQLs to the pipeline by getting attention of targeted list of accounts. This is where Account Based marketing in B2B comes into picture. This is can be done in a step by step process. First the marketing & sales team needs to sit together (pun intended). Then the list regarding assigned target accounts or subset of cold leads or list fitting buyer profile should be generated. A deliverable that can be personalized at a scale that would benefit the targets should be designed. It can be a business assessment, an offer of training or even a personalized video to get the target’s attention. Finally a “cookie cutter” should be created for sales to execute the campaign one target at a time. The effort will be worth as you will start seeing more SQLs than what comes out of cold prospecting. Sometimes doing more in less time makes all the difference in the efficiency of your campaigns. Work of a marketer can be hectic. It may be not possible for one person to active in all fields & its cost incurring for companies to employ more people for engagement of all fields. This is where Marketing Automation tools come into play. The right automation tools of which many are low-cost can accelerate the pace of marketers which can help in time saving & increased productivity of your marketers. Only thing is that it is not for the marketers who only believe in traditional marketing models. Many modern marketers believe that marketing automation is the secret sauce in growth hacking towards success. Many B2B marketers have this general concern that their businesses are too boring for social media when compared to B2C businesses. Social media is the easiest way in today’s world to reach prospective customers. ‘Social B2B Buyer’ is the new breed of customers which exist in the B2b business sector. Social media helps a lot in the stages of sale, effective usage of content and influencing buyer decisions. Especially platforms like LinkedIn, which is a social channel for businesses & professionals, as it has been recognized as one of the most effective social media platform for lead generation. Growth hack with social media in B2B business is trending & is something which marketers should not leave out. Since usability & user experience can have an increased impact on the search engine rankings, marketers should start focusing on UX & UI as they are the hotties in the marketing world right now. According to search engines, some good traits of the sites include delivering high quality, legitimate & credible content, professionally designed & accessible to modern browsers, provide direct & actionable information relevant to query and should be easy to navigate & understand. UX & UI can improve the rate of conversations if it’s currently low for you. Word of mouth has been a marketing strategy for businesses from the beginning of trade. People tend to trust their friends or someone to whom they can connect more emotionally rather than a salesman. Influencer marketing is one the trending marketing techniques of today which functions using this principle. It is nothing but a process to develop relationships with influential people who have command & respect by their fan following, to assist increasing the visibility of your brand or product. Influencer marketing works because Influencers can connect with their audience in ways that brands cannot. What they share will be more relatable & trusted by consumers than the branding messages which are directly spread. Influencer marketing is something which growth marketers can try out for marketing their brands. The B2B growth hacking techniques mentioned above are already successfully used by marketers. All these have helped them in making their campaigns more creative & fun, just like how it’s done in majority B2C businesses. What the marketers should keep in mind is that growth hacking is more of a mindset than a set of techniques. You will have to revise & improvise your strategies according to your situations to ensure that it meets your goals to get the needed results.